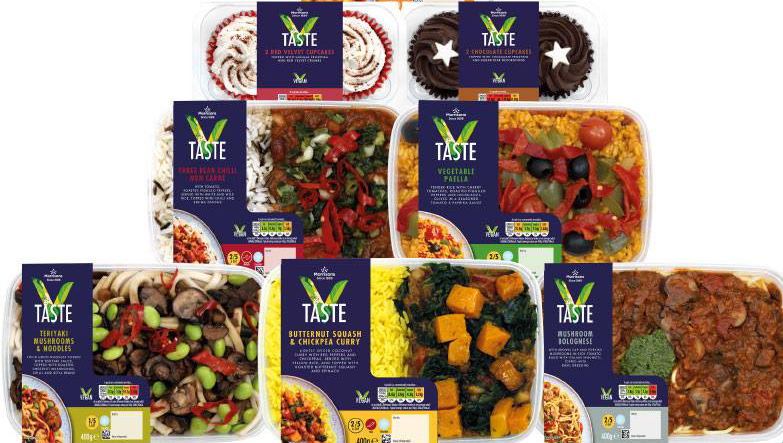 UK supermarket Morrisons has announced the launch of a brand new range of vegan ready-meals and desserts. With the major supermarkets all trying to outdo each other with the release of new vegan product ranges, one supermarket that has fallen behind with its offerings is Morrisons. Whilst Tesco, Sainsbury’s, Asda and Waitrose have all added vegan and meat-free ranges, Morrisons has until now had limited options for vegans. 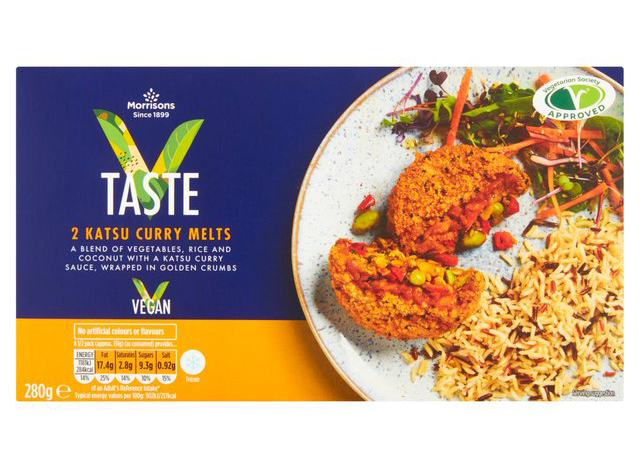 The store’s new vegan range, V Taste consists of dishes such as Katsu Curry Melts, which feature a mixture of white rice, coconut, edamame bean, spinach and curry style seasoning formed into a burger shape with katsu sauce in Indian style breadcrumb. The range will also include bean ‘non carne’ (a meat-free alternative to chilli con carne), ‘veggies in blankets’ and a couple of vegan cheeses. One dairy-free cheese will have a similar taste to Red Leicester, and the other will be similar to cheddar. The range is being introduced in a bid to build on the supermarket’s strongest sales growth in nearly a decade. 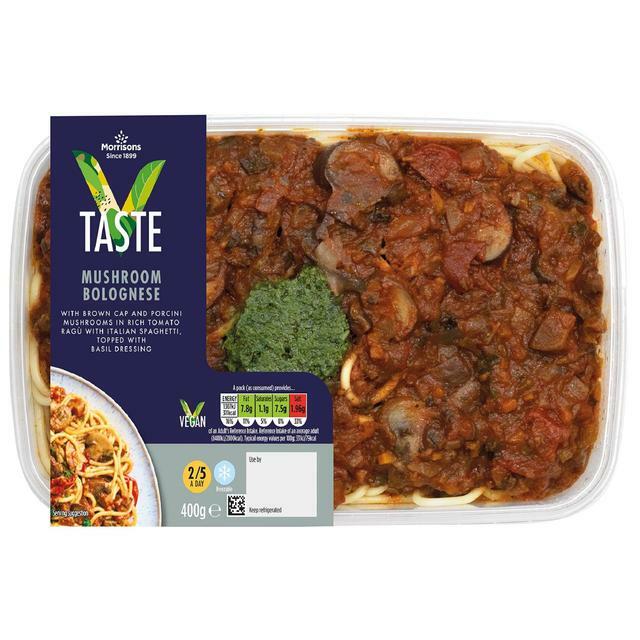 Morrisons hopes to tap into the trend towards plant-based food by targeting younger consumers and providing options for those who wish to cut down on their meat consumption. The brand’s Chief Executive David Potts explained that, besides the new range, Morrisons is adjusting its specs on fruit and veg so that it can sell ‘wonky’, smaller products too.